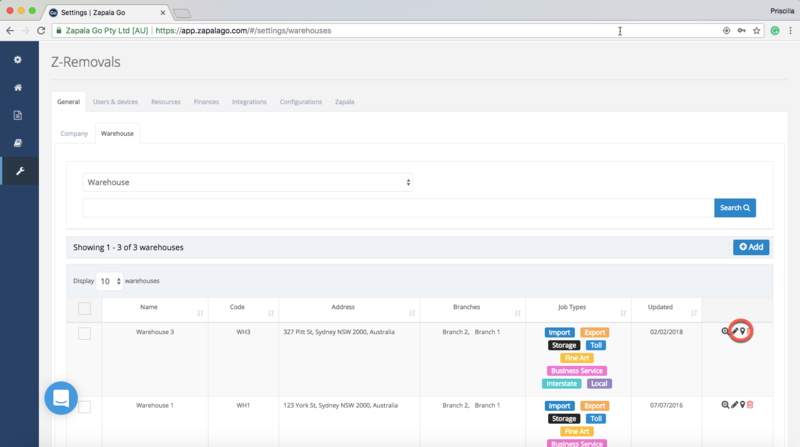 When you first set-up your info in Zapala Go, you had to add at least one branch and one warehouse for your company. 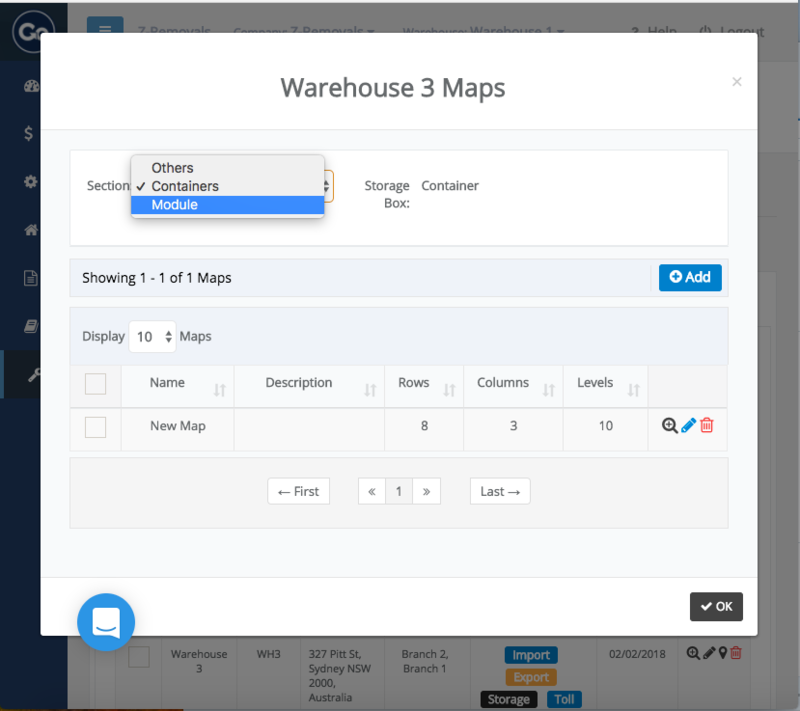 After you have created a warehouse, you can add Maps to it and start creating locations for all your storage boxes. After clicking on it, a new page with no maps created will open up. You will notice that there will be a filter of 'sections' as shown below. The 'sections' that will show up for you are the 'Storage Boxes type' you've selected when setting up the warehouse. You will always be able to change that by hitting the 'edit' icon and to start drawing the map, click on the 'Add' button. 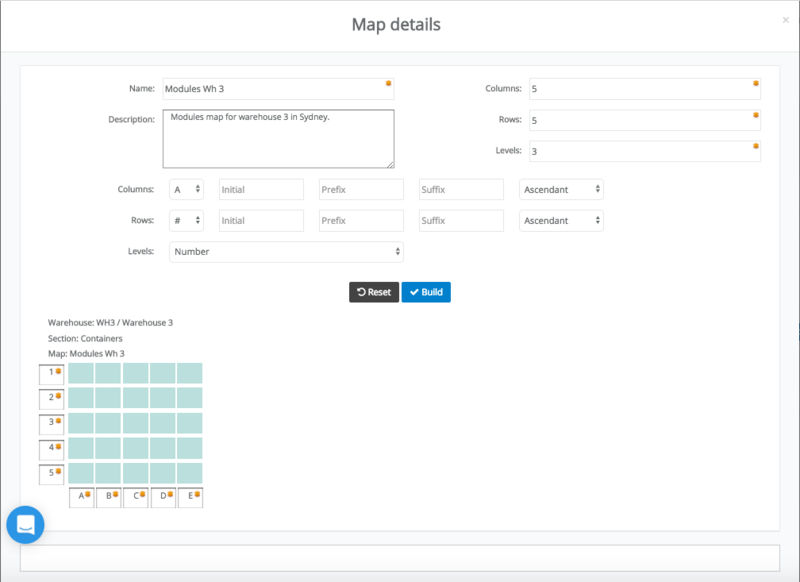 Fill out all info requested on the page and click on the 'Build' button to see a 2D version of your map. If there is anything you want to change, click on the 'Reset' button and start over. Once the map was created and it is looking like you wanted, hit the 'Save' button.